ICU has been selected to be part of the Top Global University Project (April 2014 – March 2024). This project of the Ministry of Education, Culture, Sports, Science and Technology of Japan supports universities engaging in world-class education and research as well as universities leading the globalization of fellow Japanese universities. ICU is promoting its further globalization. Please familiarize yourself with ICU’s globalization efforts and feel the "globalness" of ICU. Learning, studying abroad, student life, paths after graduation... Please listen to the voices of current students and alumni. Thank you for choosing to fundraise for ICU futures! 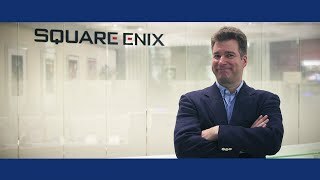 Localization Division at Square Enix Co., Ltd.